Alongside the introduction of the much thinner and lighter iPad Air and the highly anticipated iPad mini with Retina display, Apple has finally introduced the all-new Mac Pro, the most radical Mac ever. The Cupertino, Calif.-based company aims to redefine pro computing with this new hardware: It features the latest Intel Xeon processor with up to 12 cores, dual workstation-class GPUs, 6 Thunderbolt 2 ports, PCIe-based flash storage, and ultra-fast ECC memory. All six Thunderbolt 2 ports support up to six daisy-chained devices each, allowing to connect up to 36 high-performance peripherals—from external storage devices, to multiple PCI expansion chassis, to audio and video breakout boxes. Thunderbolt 2 uses existing copper or optical Thunderbolt cables and is completely backward compatible with existing Thunderbolt peripherals and cables, and also supports the latest 4K displays. Also a new self-configuring IP over Thunderbolt software feature in OS X Mavericks provides a fast link between Thunderbolt-enabled Macs. As Apple points out, the all-new Mac Pro is architected around a unified thermal core, which allows the system to efficiently share thermal capacity across all processors, and also feature an innovative fan, which draws in air with incredible efficiency. 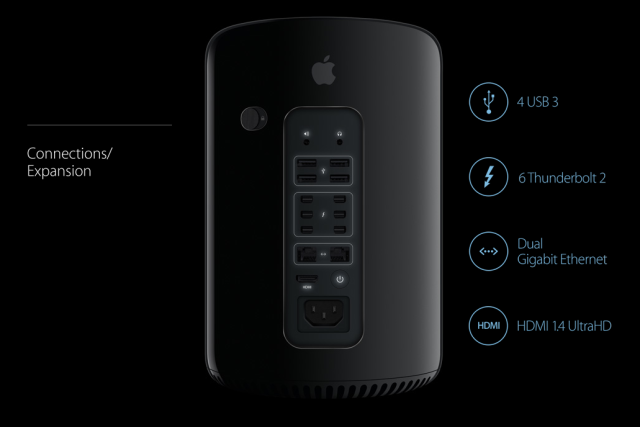 This also makes the Mac Pro as quiet as the Mac mini. 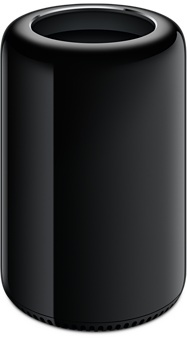 The Mac Pro is just 9.9-inches tall, 6.6 inches in diameter, and weighs only 11 pounds. The quad-core models cost $3,099, while the 6-core model is priced at $4,099 in Canada. 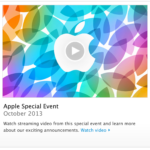 It will be available in December.